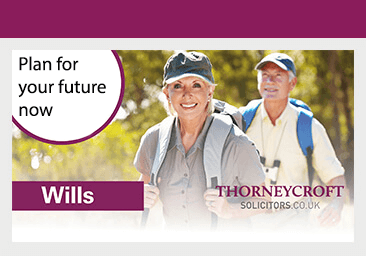 At Thorneycroft Solicitors, our expert team of Wills, Trust and Probate solicitors have earned a reputation for providing a professional and sympathetic approach to all your estate planning affairs. We understand the complexities that can arise when writing a Will which is why our Wills solicitors take the time to understand your specific circumstances and the importance of safeguarding the financial security of your family. Our team is led by a member of STEP (Society of Trust and Estate Practitioners) who has over 20 years experience in drafting Wills. At Thorneycroft Solicitors, we will offer you an initial free consultation to discuss your Will requirements. We will focus on your family’s needs, your capital and income requirements, the ownership of your property and inheritance tax considerations. We will then agree a fee with you to provide a bespoke Will that clearly sets out your wishes. We can arrange a home visit if you prefer or visit you in hospital at a time to suit you. A Saturday morning appointment can also be arranged to meet you and take instruction. Our Wills, Trust and Probate solicitors will advise you on all aspects of estate planning in a professional and friendly environment. Our bespoke documents will ensure that your assets are protected according to your wishes, giving you peace of mind. By making a Will, you can choose who will benefit from your estate and eliminate the problems that can arise when no Will is left (an intestacy). Unmarried couples have no rights under an intestacy and assets risk going to relatives other than the partner of the deceased. A Will enables you to appoint executors and to create a financial framework for your children that will manage finances until they are old enough to do this for themselves, as well as give direction as to who will look after them. There are other financial related benefits of making a Will such as protecting assets from the cost of care and maximising tax reliefs and exemptions. 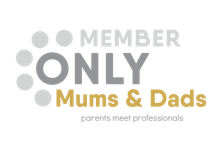 Without a Will, the way is left open for family disputes, higher inheritance tax liabilities, control from unwanted family members and the estate may not be divided in the way you had wished. We recognise that estate planning is a vital and sometimes emotive subject. We offer you the opportunity to obtain the best legal advice to financially safeguard your family’s future. For more information and advice, contact our team of Wills, Trust and Probate solicitors today. If you would like to learn more about our Probate, Lasting Power of Attorney or Estate Planning services click here.